I’m about to have a four year old and a two year old. When in the world did that happen? I look back on pictures and it feels like just yesterday I was in the hospital and listening to them take their very first breaths. Holding something so tiny and so perfect and wondering how I got so lucky to be their mom. There’s seriously no way to describe that feeling as you stare into their beautiful little eyes and realize you’re taking them home with you. And that they’re all yours for the rest of your life. Weaning. My 22 month old is still nursing because she refuses to stop. I know, just don’t let her do it. If it were that simple, I would have stopped MONTHS ago. But she screams, cries, pulls my shirt down, and contorts her body like the girl from the Exorcist. I try to let her cry it out but to be honest, it breaks my heart. To know that something I’m doing upsets her that much just breaks my heart. And when the solution is something so easy as to nurse her, I just do it. But I’m more than done and I know that soon enough I’m just going to have to deny her… and that just tears me up inside. Sleep training. I wasn’t strong enough to let them cry it out. I tried a few times and I couldn’t last more than 45 minutes. My daughter slept in her bassinet like a champ and even her crib for quite a few months, but out of the blue she wouldn’t sleep anywhere but in my bed. In fact, both of my kids of co-slept with us at some point and although it has been tough at times, I know that it won’t last forever. I am so envious of other moms who can put their kids down and walk away, then walk into their rooms the following morning and be greeted by a happy, well rested baby. One of my kids stopped napping and one occasionally naps and they don’t sleep the best at night either. Giant strugglefest for everyone. Going anywhere. I miss the days when I could just hop in the car and head to the store or the gym. I didn’t realize how much things would change when I had kids; Did I pack the snacks? Diapers? Wipes? Teething rings? When’s the last time I fed the baby? Do I have my nursing cover? Who am I going to get to watch the kids for my appointment? 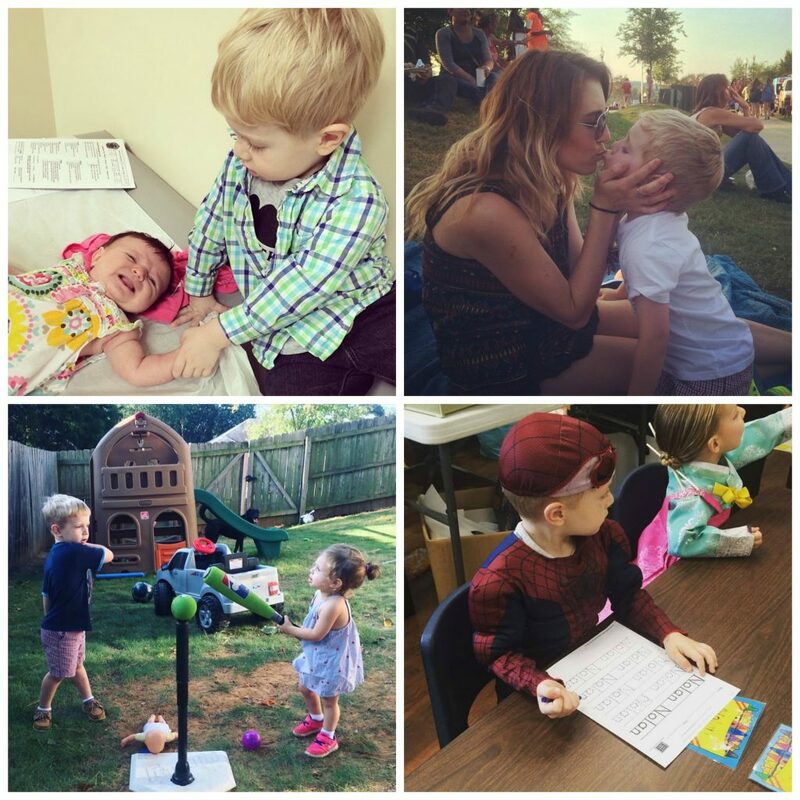 Taking the two of them in public is like setting myself up for failure… two kids, one mommy. I’m outnumbered! But sometimes I have no choice and I just have to put on my big girl pants and do it to it. First day of school. 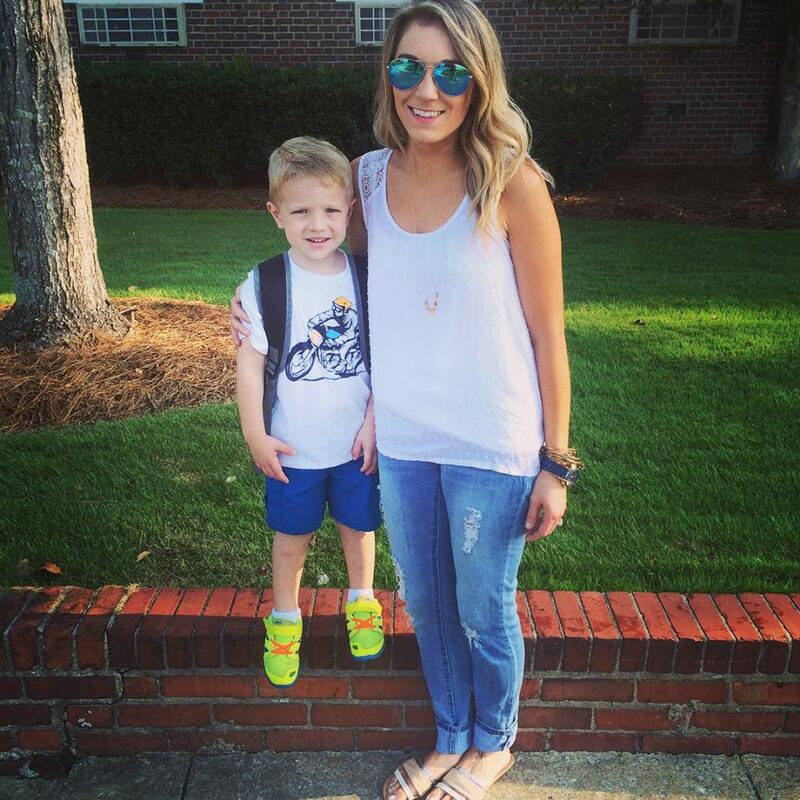 We started my son in a two year old preschool program and leaving him in the classroom the first day was so incredibly hard. Hearing him cry “MOMMY!” as I walked out of the room and down the hallway was heart wrenching. But after a few days, he loved it and looked forward to it. And this year, there were no tears at all. I know that there are going to be a lot of first days of school that are tough; first day of Kindergarten, middle school, high school, and lawd help me college. But I know it’s no longer him that will have the problem, it will be me. Exhaustion. 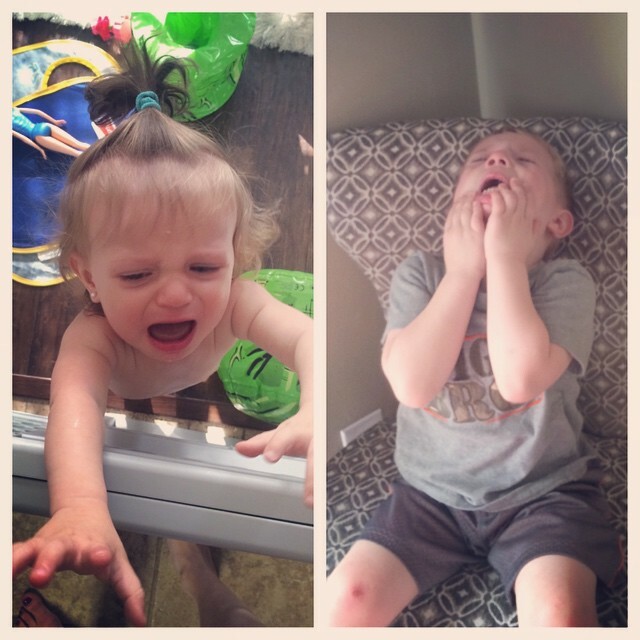 I thought I knew what exhaustion felt like before having kids. But now that I haven’t taken a nap since 2011 and I’m constantly running on coffee and faith, I know that this is what exhaustion feels like. Nursing a child every two hours and still having to wake up and take care of another child, a crazy toddler none the less, was probably one of the most challenging things I’ve ever done. People say you aren’t supposed to drink coffee while nursing but you know what I said? If you want me alive and functioning, I’m not giving up my coffee…aka liquid gold. Despite my kids being a little older I’m still running on a constant state of exhaustion; between work, housework, and their lack of naps/sleep, there’s never enough time in the day. Watching Z say goodbye to the kids. Z went back to Afghanistan when Nolan was six days old. 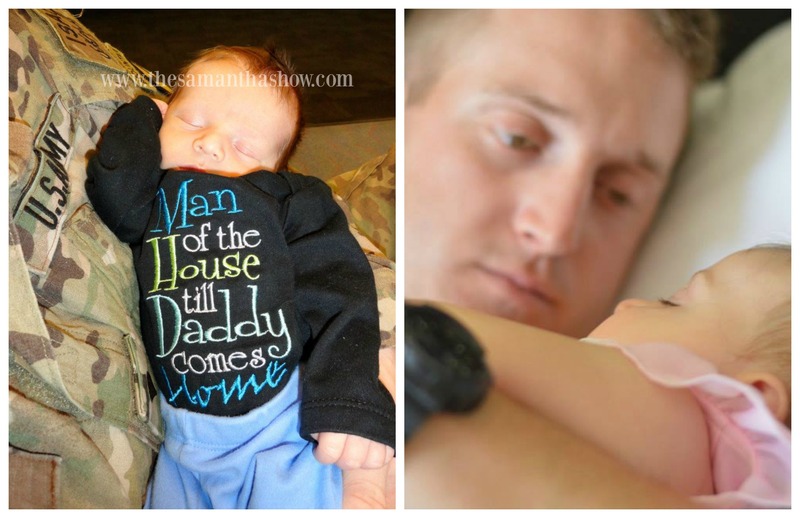 Seeing him hold his son before heading back to war was definitely one of worst moments of my life. 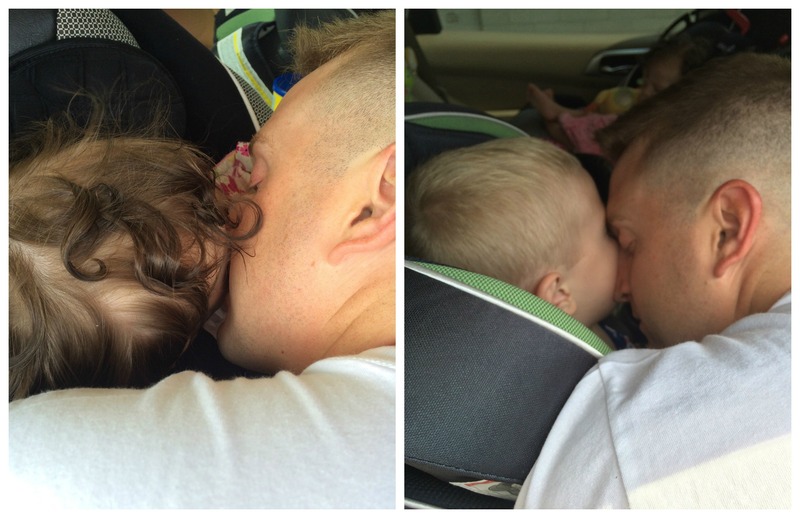 When he said goodbye this past deployment, both kids were sound asleep in their car seat, but that didn’t make it any easier. 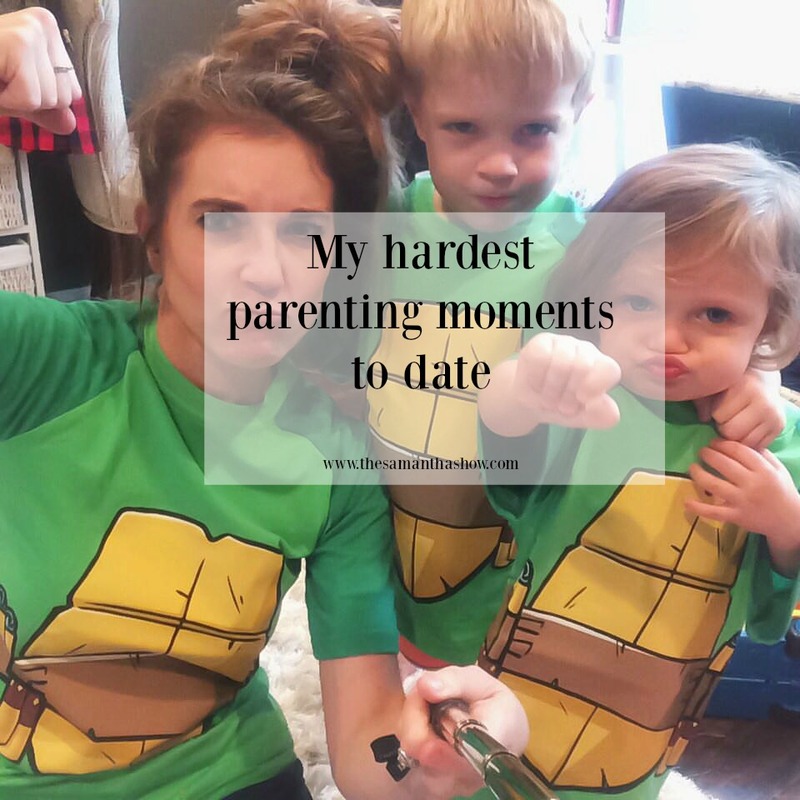 Both times I knew that I would be okay but I worried about my kids and my husband. I felt bad he was going to miss so much and I felt bad the kids wouldn’t have their dad around everyday. Because they love him something fierce and hearing the “I want Daddy” cries and not being able to give them what they want was terrible. Sending videos and taking pictures of your kids so their dad can feel like he’s a part of their life isn’t how things are supposed to go but we had no other choice. Deployments are no fun for anyone and the goodbyes never get easier. Work/life balance. I consider myself so lucky when it comes to work. I work from home and I’m my own boss (most of the time). But I do have a hard time finding balance between work and life. My kids need constant attention but there are times when I have deadlines or emails to respond to. I love my job because it allows me to be creative and interact with people other than Goldfish eating, Paw Patrol loving, little people all day. However the work never ends. I check my phone the minute I wake up and clear all notifications before I go to sleep. I try to respond to emails as they come in because I’ll forget to if I don’t. And sometimes, I just get lost in my work because I love it. Sometimes I feel guilty when I am constantly checking my phone but then I think that I could have a job outside of the home and then I remind myself that it’s never going to be perfect. Watching them get shots. Or get blood taken. The first time Nolan needed shots, I cried like a baby. And I also sobbed uncontrollably while restraining him so that the nurse could take his blood at his 12 month appointment. I know it has to be done but seeing your innocent baby in pain just makes you feel so helpless! Watching them grow. I know, it’s inevitable. And while watching them grow and learn is a beautiful thing.But it’s also so, so sad. 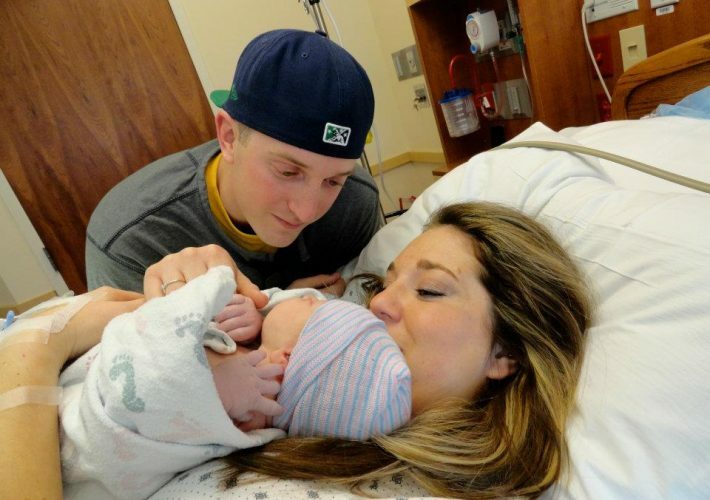 Your babies start to become their own person and it’s just the beginning. It’s so hard to think that one day, they’ll want nothing to do with their lame old parents. So when my four year old asks me to snuggle him, I do. Or when he asks me to carry him up the stairs, I throw out my back picking up a 40 pound little human and carry him. They drive me crazy and I lose my patience but let me tell you, it’s going faster and faster as time goes on. So I try to cherish every minute of it. Watching my parents say goodbye to the kids. There’s nothing worse than living far away from my parents right now. I hate only seeing them a few times a year and I hate it even more when they have to say goodbye to their grandkids. There’s a million reasons we want to move back to Cleveland but being near my family is #1. Disciplining them. Toddles are unique; they’re just learning the ways of the world and learning that they are their own person. They are curious and interested in everything they see and finding out new things. They can’t process emotions like we do and get frustrated when they can’t do something or even worse, are told they can’t do something. And teaching them lessons is hard. You don’t want to be the bad guy or the mean mom but sometimes you just have to be. You have to teach them it’s not okay to hit others or that they can’t eat cookies and candy everyday. But no matter how much trouble they get in or how many times you lose your patience the day before, they forget about it by the morning. They’re excited to see you when they wake up and you realize that you have to teach them the ways of the world because if you don’t, who will? They’ll still love you, trust me. I’m telling you, I struggle with being a parent everyday. I’m in the “trenches” right now with two toddlers but I know it won’t be this way forever. I know that I’m doing the best I can and I’m learning as I go. There’s no playbook for how to be a mom or a guide that will tell you when the difficult stages of parenthood are going to be. And these are probably different for everyone. But you live and learn and make it through the tough times because unfortunately, these are going to happen for the rest of their lives. We just have to know that through it all, our kids love us and there are other parents to help us through all of it. What are some of the struggles you’ve seen as a parent? How do you make it through the tough times? « Today, on Veterans Day.